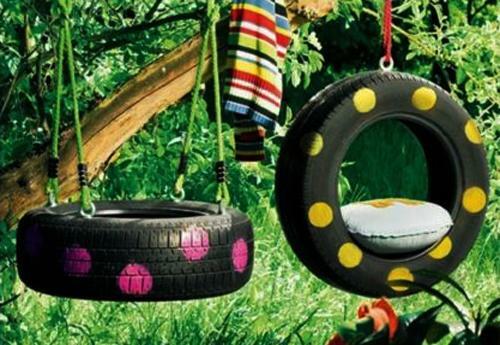 Garden decorations, storage for kids toys, swings, planters, and outdoor furniture are just a few ideas to reuse and recycle tires, which provide a sturdy material for DIY projects, art, and recycled crafts. Sandals, pets beds, containers, rubber buckets, garden decorations and playground climbers are creative ways to design functional and decorative items. 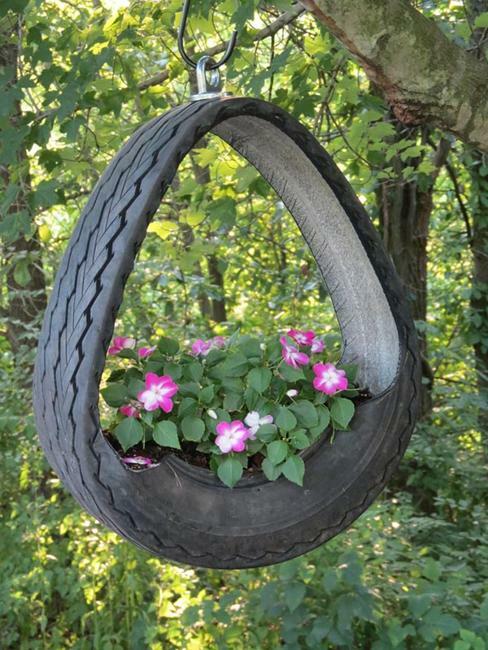 Lushome shares inspirations for attractive and amazing DIY projects that give a new life to these useless tires. It is hard to cut a tire, so use non-steel-belted tires for your projects. Still, it requires patience and a physical effort, but the result is worth it. 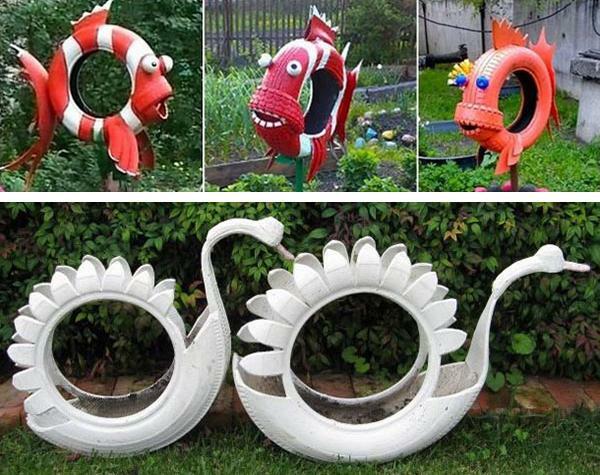 Garden decorations and functional home furnishings made of halves tires or even smaller pieces look unique, surprising, and original. 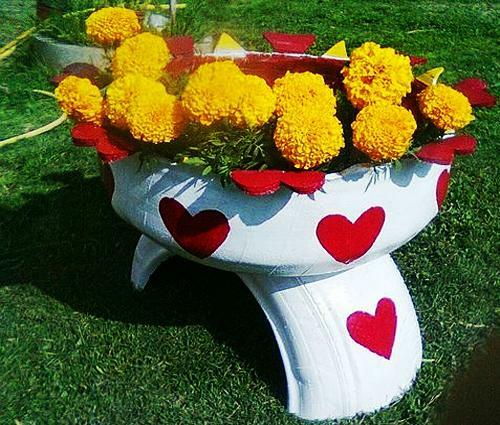 You can paint them to improve their appearance and to brighten up your DIY designs. 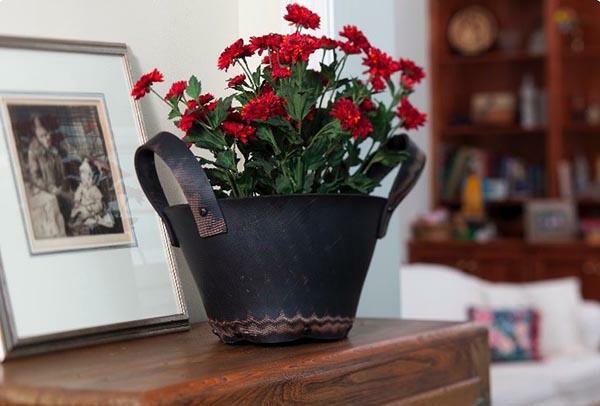 Also, you need to cut away waste material behind the cut to give your crafts and artworks a neat look. 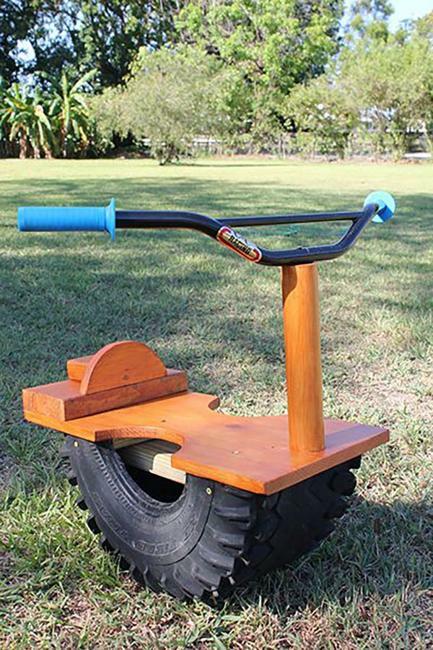 Using a circular saw helps cut the tires, but it is not a piece of cake. Make several passes with the power tool at the cuts, sheer away waste material to achieve a clean line. Also, use eye glasses as sparks can fly around when you cut the rubber. 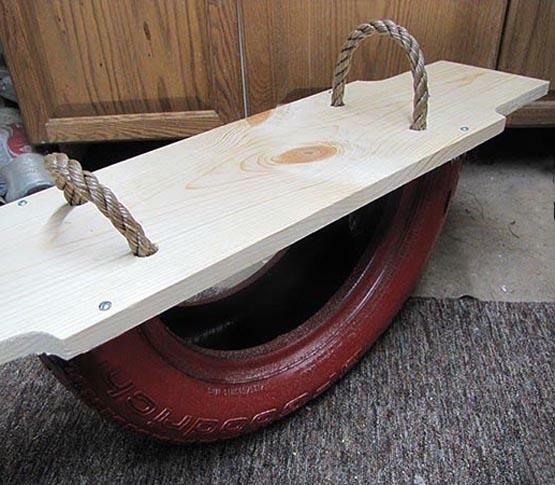 If you prefer quick and easy DIY projects, then use the whole tires, which are perfect for making swings, beds for pets, and flower beds. Painted bright colors, the garden decorations look impressive. 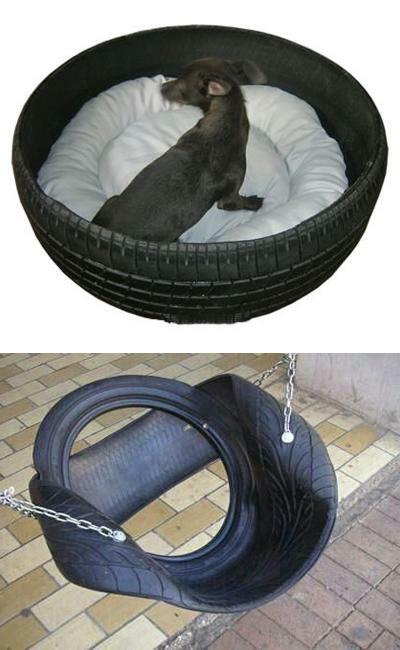 You may have only a slight vision of how to reuse and recycle old tires. 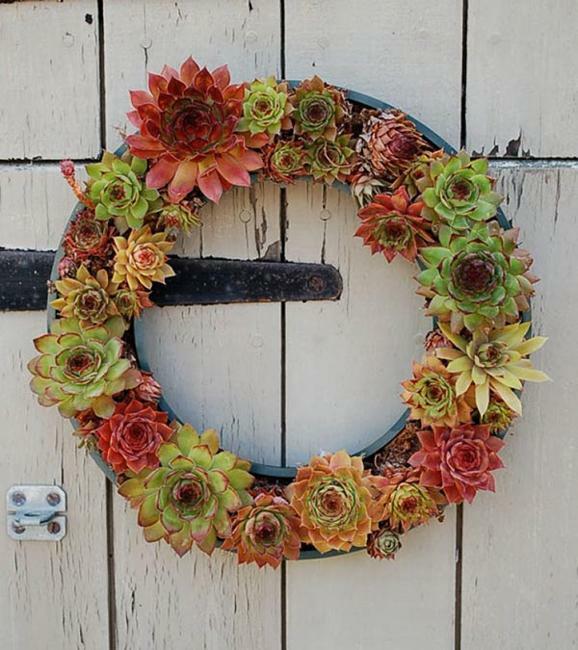 Creative designs and recycled crafts can bring surprises. Start your project and see how it goes. 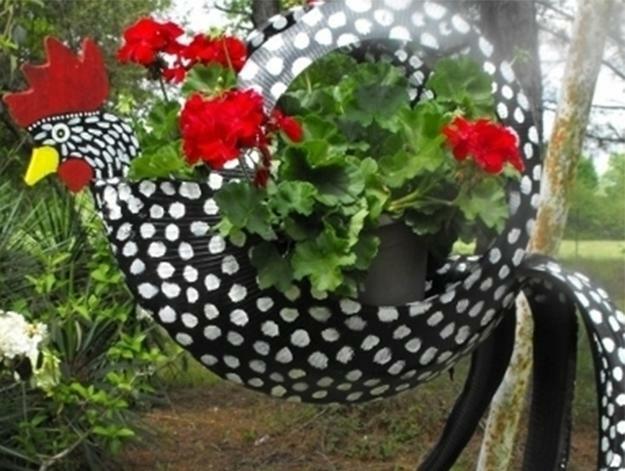 You can always add bright patterns to your creations and turn tire pieces into planters. 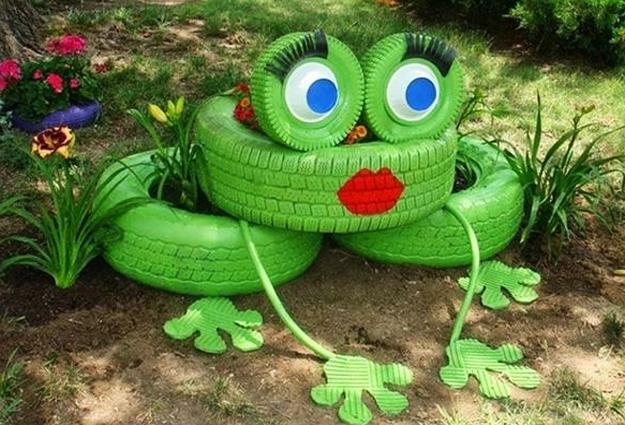 If you are ready to make a funky artwork for your garden or backyard decorating, recycling tires for colorful and playful accents without cutting the sturdy material might be a fantastic DIY project for you. 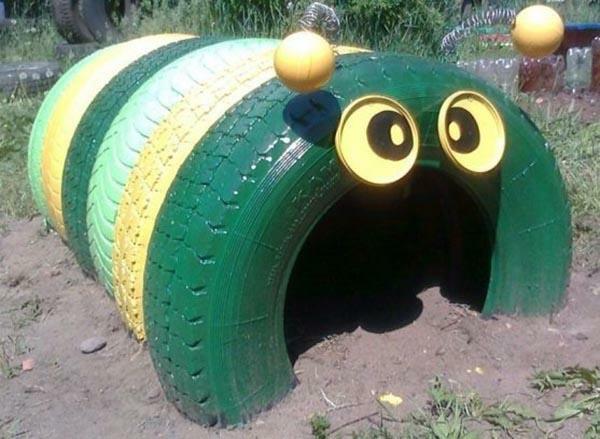 Get inspired by insects, animals, fish and birds, and come up with vibrant painting ideas for decorating used tires. 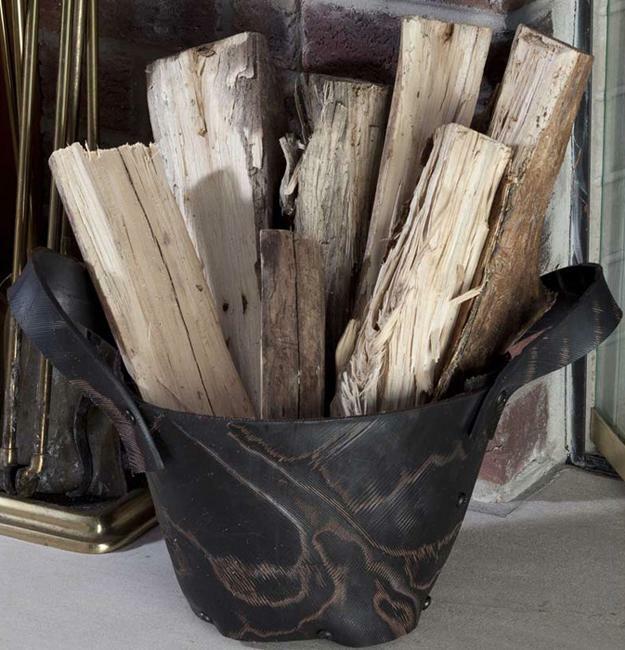 Handmade decorations made of old tires will lift your spirit and add character to your outdoor living spaces. 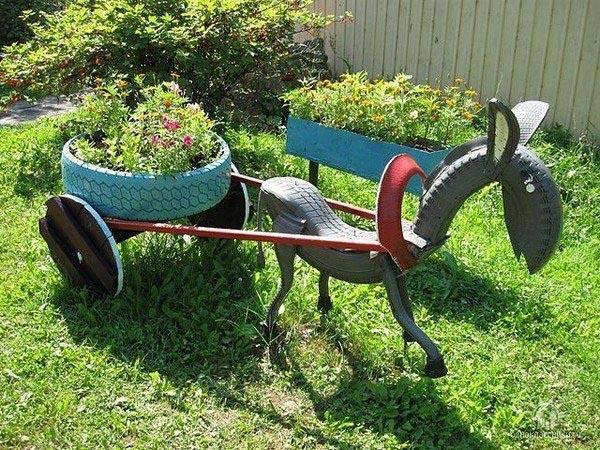 Tire halves and smaller pieces provide a fabulous opportunity to create yard art and add a beautiful focal point to your garden design. 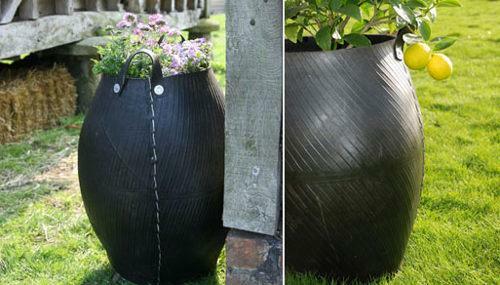 Tire planters with flowers or plants growing from a tire make spectacular accents for backyard designs and exterior wall decoration also. 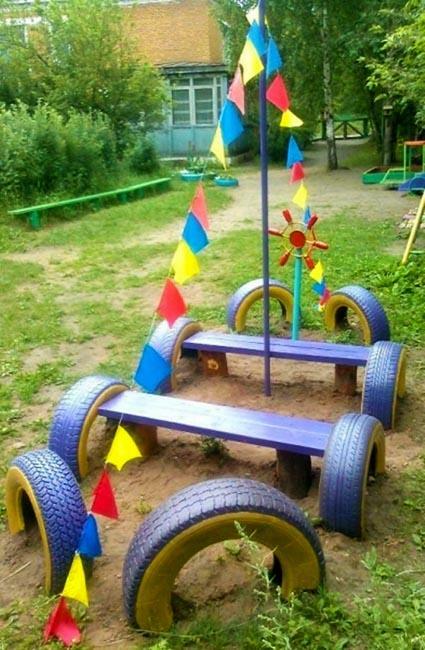 If you cut tires with a power tool, it gives you a fabulous material to work with and create original planters, buckets, storage containers, art and outdoor toys for kids. Cutting the tires requires more physical force than you think maybe, but the playful half tire pieces allow more flexibility in your designs. 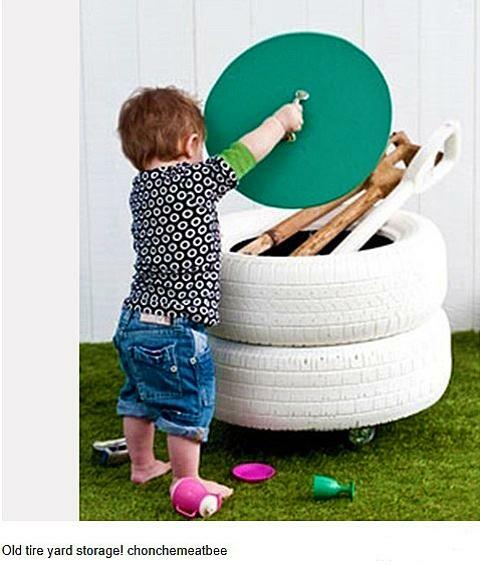 Tires are perfect for creating storage for kids toys, sports gears, and garden tools. 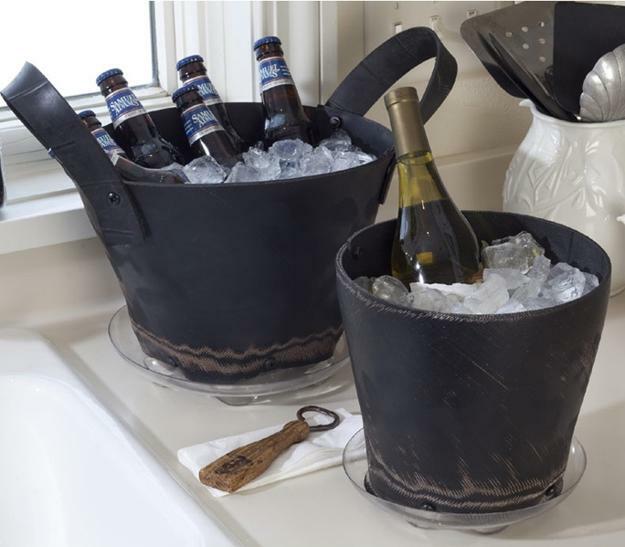 Recycled crafts can personalize your outdoor living spaces and improve their functionality. Plywood cover and bottom, three or four casters, and a touch of bright paint turn two tires into a practical and attractive storage container.